Winter is the coziest of seasons. Warm fires, a dimly lit Christmas tree, and candlelight provide ambiance in the home during long winter nights. We fend off the cold with knit blankets and deck our homes with seasonal decor. However, for those of us who just love natural decor and ocean blues, sometimes transitioning home decor to the holiday season can be a challenge. 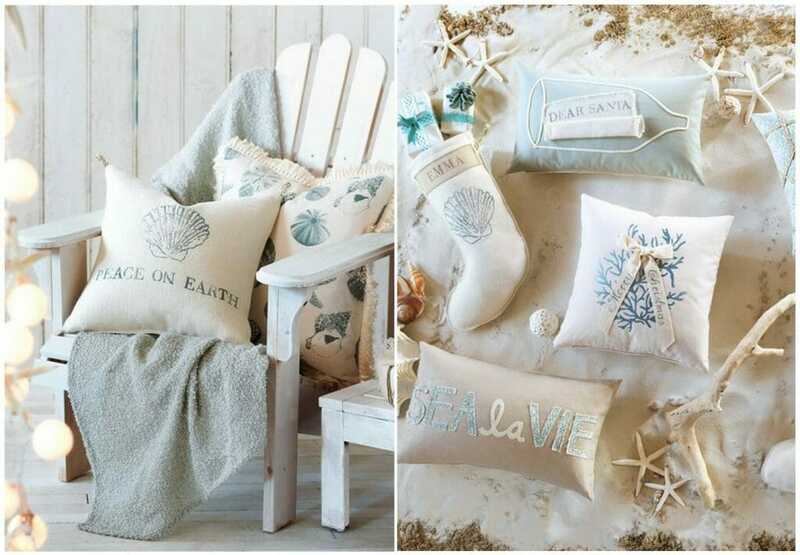 Here we feature some creative ways to add warm and cozy coastal winter decor to your design. For beachy decor inspiration all year round, check out our post on 3 Decorilla designers who have nailed Beach Decor. Adding fresh or faux garlands and sprigs are an easy way to decorate your home for the holidays. Seasonal greens smell amazing and add a natural touch. Mixed with coastal decor such as starfish, shells, and coral, greenery can fit right into place with your beach-themed design. 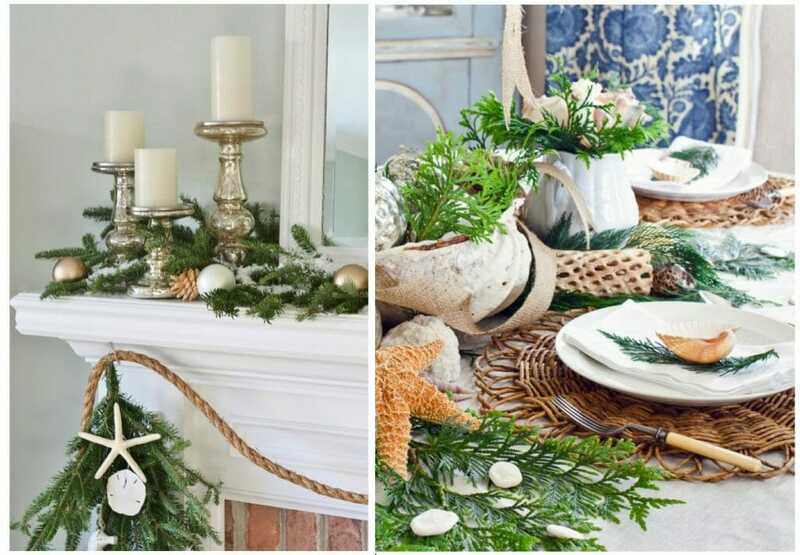 Above, these lovely sprigs have a touch of coastal accents with the jute rope and crisp white shells. The festive table setting on the right incorporates fresh greens, rattan wicker placemats, and many shells for a perfectly beachy vibe. 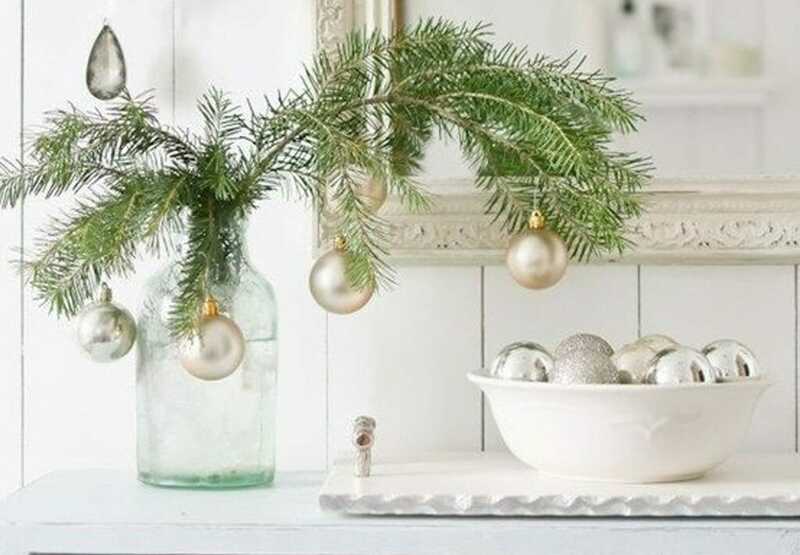 For the holidays, try incorporating rustic branches with ornaments. Some great ornament options for this style are shells, sparkling silvers, clean whites, and shades of blue. Manzanita branches are rustic, natural, and provide many spots to hang ornaments from. Like in the photo above, they also make a great centerpiece or even an alternative to the traditional Christmas tree. A popular element in beach houses is driftwood, which can be easily gathered and DIY’ed into decor such as wreaths and trees. 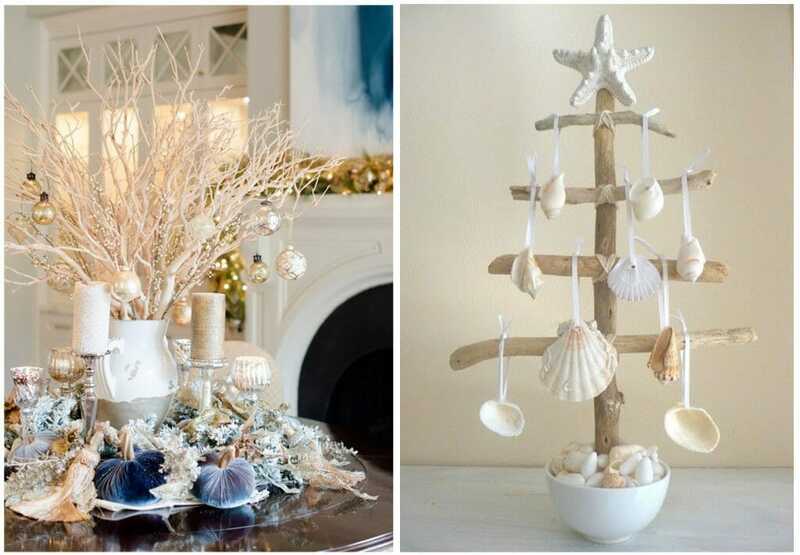 This simple driftwood tree above looks lovely donned with ribbon-tied seashells. One element that many coastal designs already incorporate are sea glass, recycled glass, and blue-hued blown glass vases, bowls, and bottles. You can place these anywhere in the home, and either keep them simple as-is, or fill with twigs, florals, and other decor. For the holidays, fresh greens make a great filler and add a seasonal touch. 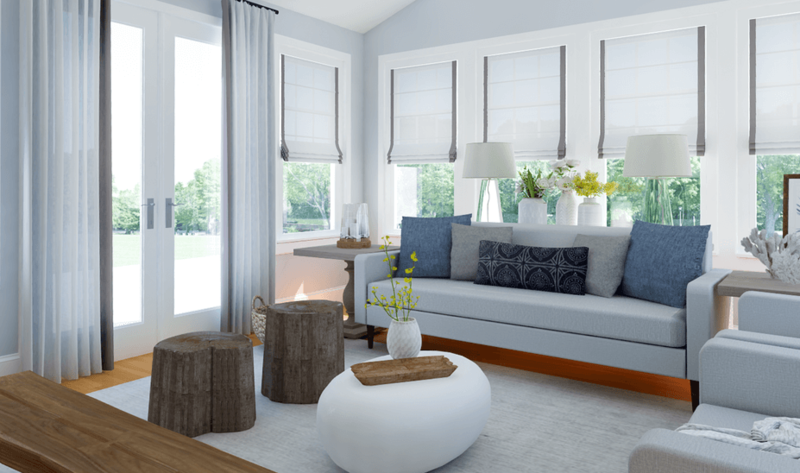 Design by Decorilla online interior designer, Eleni P.
This soft and natrual design by Decorilla designer Eleni P. would look fabulous with some holiday-inspired greens in coastal glass vases. 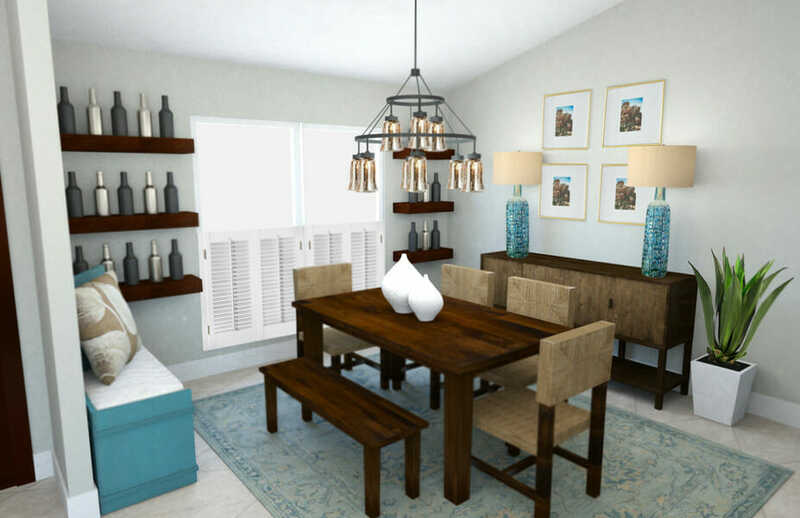 Design by Decorilla online interior designer, Rachel H.
This stunning coastal-inspired dining room by Decorilla designer Rachel H. would look divine with a sparkling tree decked in coordinating ornaments. Winter decor in a coastal home can be chic and festive during the holiday season. From weathered driftwood crafted into a tree, to blue and beachy ornaments, there are many ways to keep a coastal look in your home during the holidays. If your space features a different design aesthetic, be sure to read our post on Christmas tree decor for every style! Looking for a seasonal refresh or want to start fresh with your home’s design? Schedule a FREE consultation with one of our Decorilla online interior designers today! Written by Decorilla interior designer Angela S.